This is a ridiculously useful tool, handed down on a silver platter to us mere mortals of BI. Thanks for sharing this! Thanks for the positive feedback, Jorge and Steve! Dear Meagan. This is the first time I use tmschema_* tables. I plug-and-play your excel with my 2016 Tabular cube, but it did not return any data (I have admin access to cube). I also go directly to do a select from tables (Select * from $SYSTEM.TMSCHEMA_*), it said query completed, but return 0 row. What am I missing? Hello, Sue. Please check that you do not have any typos in the tabular instance and database queries. 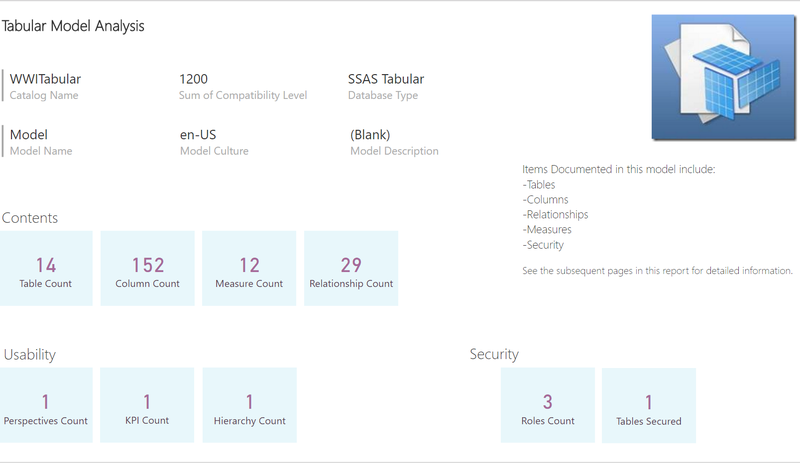 Next please check that your tabular model is deployed to that server and confirm that it is set to compatibility level 1200. Rebuilding the cube (XMLA create) with compatibility level 1200 resolved the issue. Thank you Meagan, this is a excellent post. Awesome, Megan. It was a piece of pie documenting my Excel & PowerBI models. Thanks! Hi Meagan, Thanks a lot for sharing this template, I got to know about this in Denver SQL Saturday. 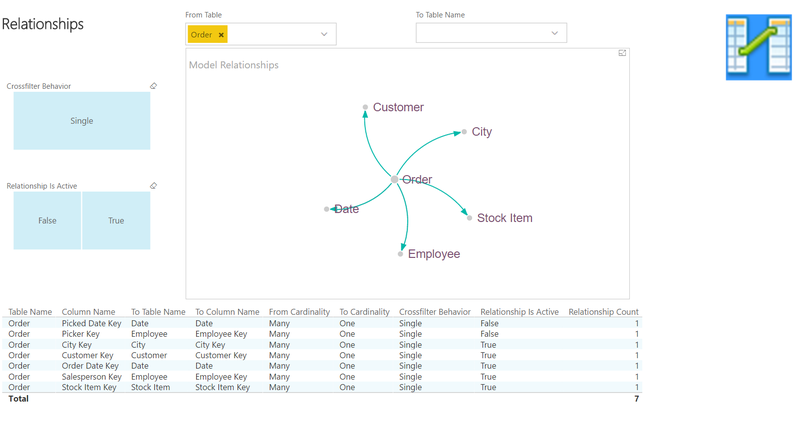 Can I use this template to document my Power BI models? It looks like the “Change Data Source” option has been disabled. wow.. that works perfect. Thanks again for creating this awesome PBI template. I looked in the queries and I think the issue is that the table PerspectiveItemStage is empty which is causing “Perspective Items” to fail? Maybe? Any pointers appreciated–this looks too cool for school… thanks! Hmmm… it used to just leave those blank without problem. Since Power BI files don’t have perspectives, that is probably the issue. You can probably delete the tables related to perspectives and see if it works. I’ll see if I can get an update out in the next few days that works with Power BI. I hit the perspective items issue too in powerbi. Just removing the table like you suggest and its staging table solved the issue. Big thanks for providing this, it works really well. Had the same issue with Perspectives, but just going into Edit Queries and selecting the Perspectives tables and refreshing that solved it. Thanks for the quick reply. I was not feeling adventurous yesterday… sure enough, just deleting the Perspective query and a Hierarchy query that was giving the same error allowed the model to load. VERY COOL–thanks for sharing!!! works w/ Azure AS too! That’s great. Thanks for trying it out, Bill! Hi Bill , can you please tell me what to use as connection string for Azure AS I am trying to do that as well. Thank you Megan! That’s brilliant! I have one issue though: How to add the staging tables (which were disabled to load in QueryEditor) to the Data Model? The thing is that all the SQL syntax is there and not in the final Data Model tables. Or am I missing something?……. Many thanks! The staging tables are purposefully disabled from loading to a table in the data model. I used them as sources for the final tables. I’m not sure why you would want them there as they would be duplicate information and make the model needlessly larger. But if you wanted to add one to the model, just find the query in the query editor, right click, and choose enable load. Hope that helps. Thank you Meagan for your quick reply! I think i didn’t explain it well… So my QueryDefinition column doesn’t show the real queries used to retrieve the data from the SQL Database, they just show “select * from… PowerBI query name”. And I need the initial source query with joins and etc. which run against SQL Server. Ah, I understand now. Since this is built off of the SSAS DMVs, there is not a way to see the queries that don’t load to the model. Thank you for the sharing! It’s Amazing! Unfortunately, it points out that “The ColumnStorage object is reserved for internal use only.” Probably because the row counts and distinct column counts on that table are wrong. Best to remove RowCounts from your Table&Columns report. You can get row counts from DISCOVER_STORAGE_TABLE_COLUMN_SEGMENTS, but it would take a little work to integrate that into your template because of different format of the keys. Thanks again for the template! You saved me a lot of work updating documentation. Glad to know they finally documented them. And thanks for the tip about the counts. I’ll update the model when I get some time. Thanks a lot for your template! It’s Amazing! Has the OneDrive link been changed as the Power BI template is no longer available? The file is still there and available when I click the link . I had a coworker try it and it works for him as well, but it was rather slow.. If you can’t get to it, send me a DM on twitter (mmarie) or use the contact me form at the bottom of my About Me page with your email address and I’ll send it to you. Sorry for the inconvenience. Not sure what is going on with OneDrive. This is so useful!! And so beautiful!! Thank you so much for sharing!